Yes Peace Harmony Joy is possible in Relationships. Get Help..
Do you know what you want in would be spouse ? Call , SMS or whatsapp dial +91-98-1118-1117. Besides face to face counselling we also provide Phone Counselling , Online Counselling on Skype. Your family details are confidential with us. Call & Get started. Relationships are like glass. Sometimes it’s better to leave them broken than try to hurt yourself putting it back together. Sometimes relationships can’t be fixed. That is when it’s better to move on. Sad, but very often true. iNtegra provides helpful tools to improve communication and every aspect of your marriage. MindfulKriya couples therapy is designed to help couples maintain healthy, lasting relationships. In addition to working with couples, iNtegra teaches individuals how to single-handedly transform their marital situation. Besides one on one counselling, we also organize weekly workshops for couples. 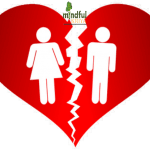 iNtegra Divorce counselors are experts in complex Divorce cases.